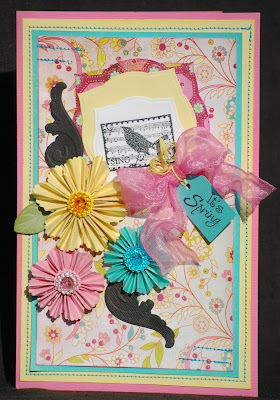 This is such a pretty springy card! Leave it up to you to figure out new things to do with nesties. Dawn love the colors and those flowers are soooo beautiful! I would still be using my windows 98 if it was up to Gary...but my son Shane bought me a new one...Gary just doesn't get it, thanks God Shane does! 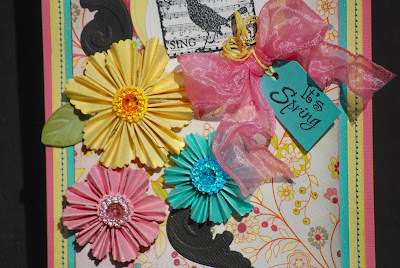 Hey miss Dawn...thanx for the blog love....I really enjoy hearing from you...you are such a blessing to the scrappy world and I love your work...this card is fab and being the flower lover that I am I will have to try these..they are lovely...thanx for the how to on them...really beautiful. Hope everything is well with you and yours....happy Monday! Wow how amazing are those flowers! I have to try this! 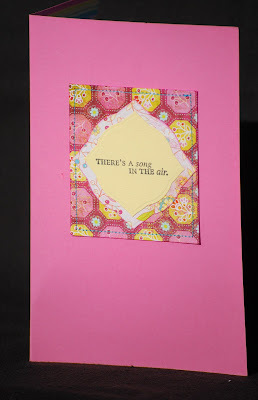 Gorgeius card makes me wish Spring was here!